Over 200 years ago a group of friends gathered for a meal in a small town in Scotland to celebrate the life of a much loved friend who was now dead. 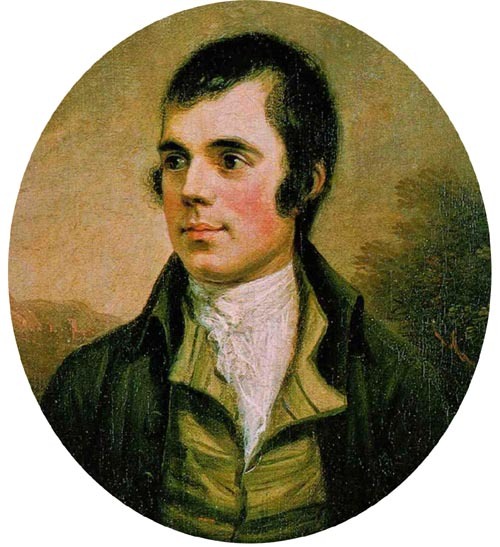 This friend was the famous Scots poet Robert Burns. Still to this day on January 25th Scots around the world carry on this tradition with Burns Suppers. They can be big lavish dinners in 5 star hotels or more modest affairs in peoples homes but they all follow a similar format and all feature Haggis! Burns wrote a verse about Haggis and this is recited at a traditional Burns supper. The meal begins with grace – ‘Selkirk Grace’ and then a piper will normally pipe the chef in carrying the Haggis which then the host or a guest recites Burn’s famous poem ‘To a Haggis’ This should be done with great enthusiasm as it ends with the speaker cutting open the haggis with a sharp knife as he comes to a line in the poem that goes “an cut you up wi’ ready slight”. The meal continues with traditional fare and a short speech about Burns, a thank you to the lasses (ladies) and a reply to the men all of these are humorous! It’s a great evening out whether you are in Scotland or Dubai and is definitely not just reserved for Scots. This is an enjoyable evening for all nationalities. There are many Scots in Dubai and a handful of venues will be hosting traditional Burns suppers or try one yourself – Haggis available at Park’n’Shop and Choithrams. 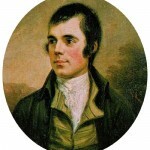 Celebrate the life, works and spirit of the great Scottish poet, Robert Burns in Le Classique on Wednesday 25th January 2012 from 19.30. 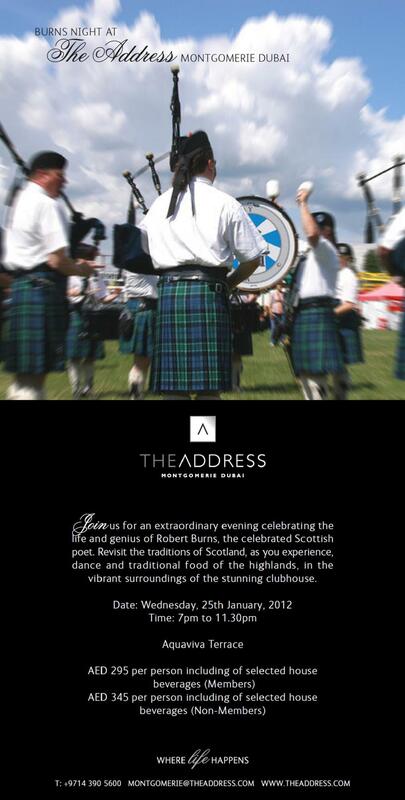 The annual celebratory tribute will feature time-honoured traditions including Scottish bagpipes, the address and a toast to the haggis. 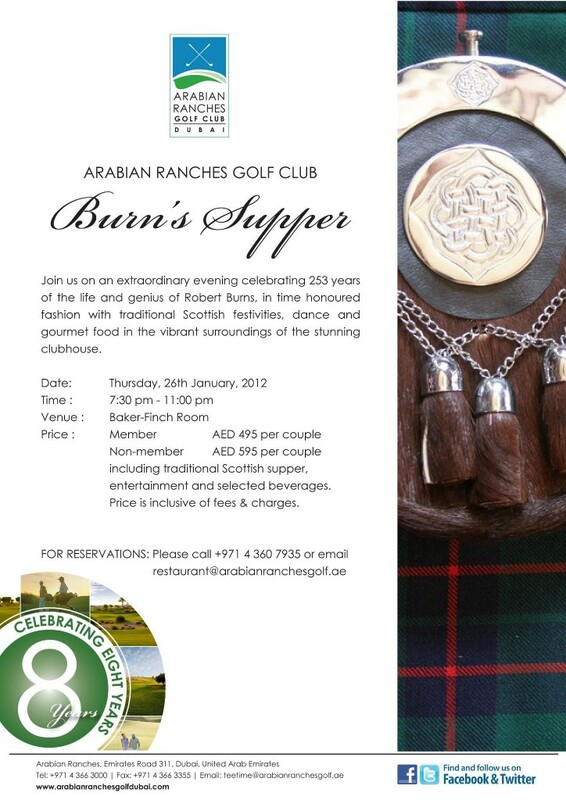 Indulge in a traditional four course Burns Supper menu including tatties and neeps for AED 345 per person.